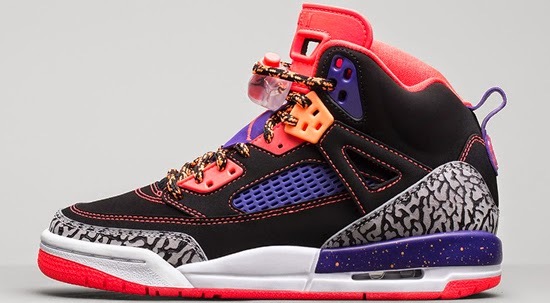 A new kids colorway of the Jordan Spiz'ike hits stores tomorrow. 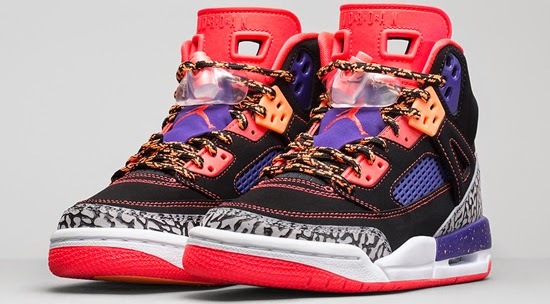 Known as the "Taz" edition, this Jordan Spiz'ike GS comes in a black, court purple, bright citrus and bright crimson colorway. 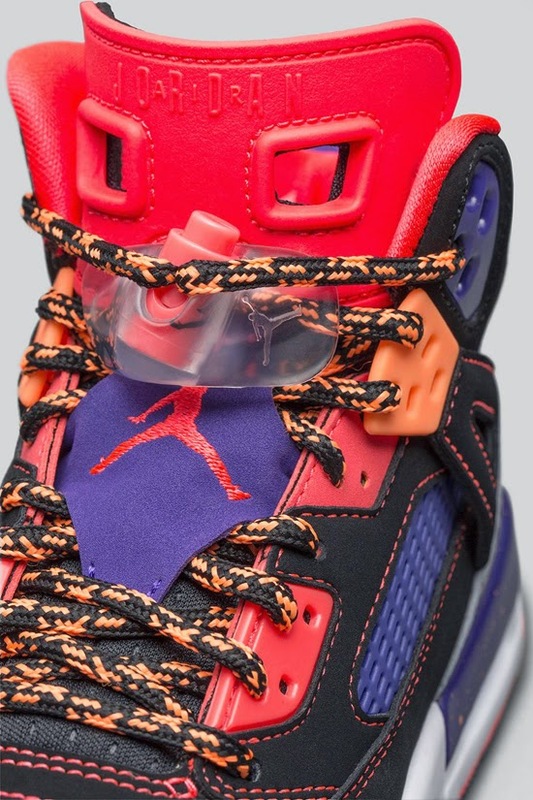 Featuring a black based nubuck upper with purple, citrus and crimson accents. 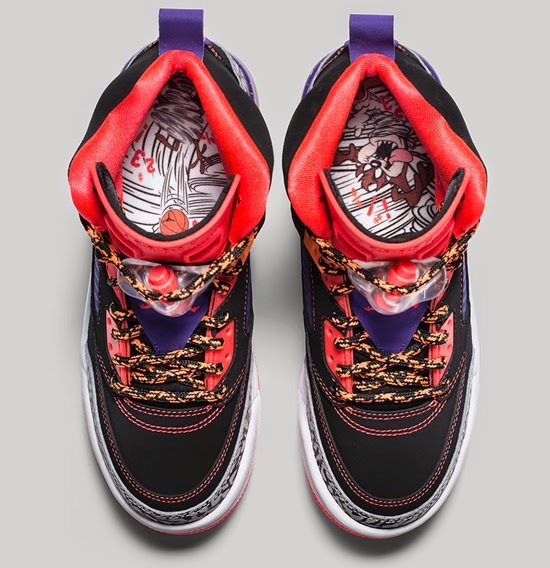 Other details include elephant print found in its traditional places, speckles on the midsole and custom Tasmanian Devil graphics on the insoles. 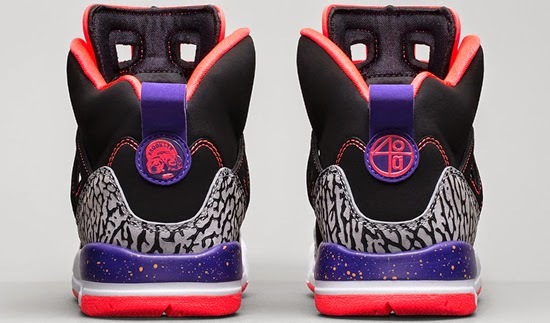 A general release, look out for them at select Jordan Brand accounts worldwide on Wednesday, May 6th, 2015. 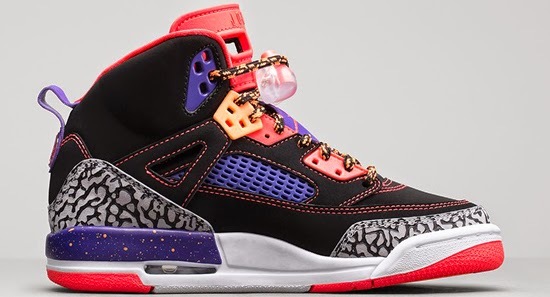 Retail is set at $125 for gradeschool. They will also be available in preschool and toddler sizes. Enjoy the official images below of the "Taz" Jordan Spiz'ike GS in black, court purple, bright citrus and bright crimson. If you're interested in picking these up when they release, check in with your local spots to see if they will be receiving them. Those of you looking for a pair now can, grab them from eBay here.